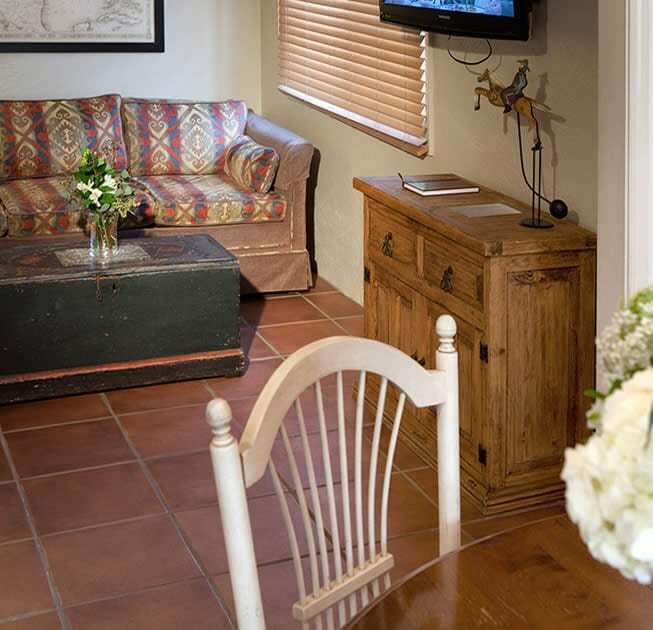 The “La Casita” is a unique room no other boutique hotel in Palm Springs can present. It is located in the most coveted and private spot on our property, directly below the Bell Tower. Entering thru a private patio it then leads you to the pool & hot tub located just outside the master bedroom. The kitchen is fully appointed and accompanying wet bar is located for entertaining. Featuring 2 queen beds, a second bath and large pantry, “La Casita” makes a great retreat for all.